I am well feeling the earlier starts, okay I am not getting up that much earlier but adding in the clock change as well and I feel out of the game. Journeys seem quicker from when I leave home but with it being in the rush hour I am having to slot into trains now instead of having space. It's like playing human Tetris. I'm getting there though!! Looking forward to tonight's fun with Halloween, have a half day as well so will be able to help my girl get things together!! 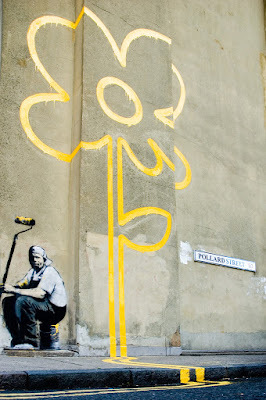 Included some Banksy art in this post that I saw whilst in Tetris mode this morning reading over someones shoulder. 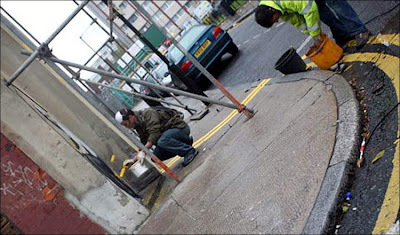 I am sure if I were to take up street art I would soon be facing charges not earning millions! !